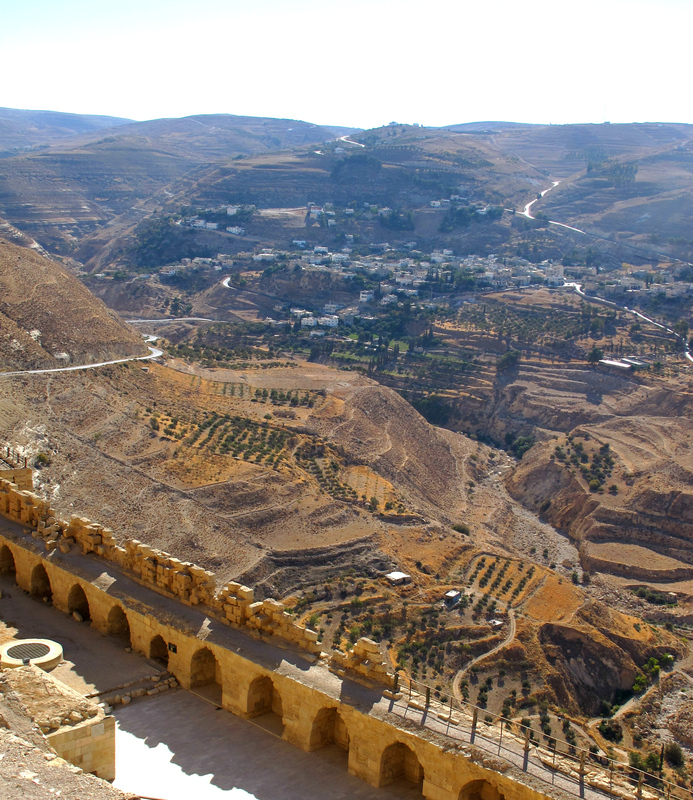 Although you can fly from one end of Jordan to another, there are so many phenomenal sights packed into this tiny country that I couldn’t recommend a leisurely road trip more. 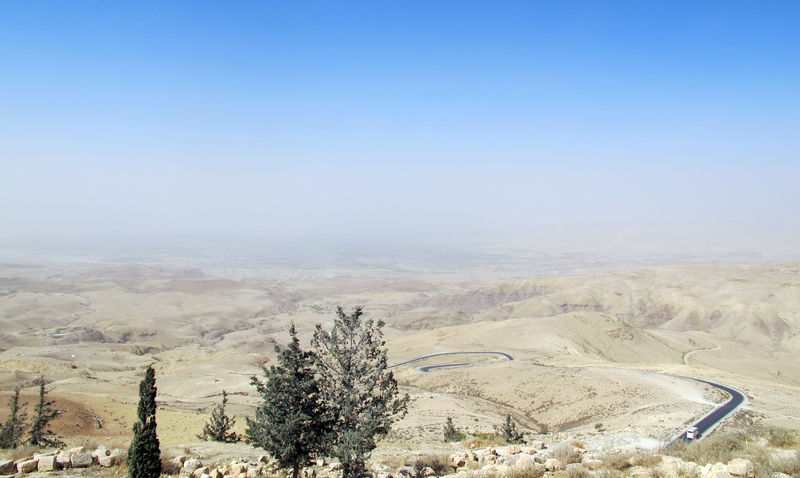 There are three roads in Jordan, the slowest of which – the King’s Highway – is by far the most spectacular. The boy likes fast cars and fast roads, but was kind enough to indulge me by taking the scenic route when we drove from the Dead Sea down to Petra. The views along the way were otherworldly – huge huge landscapes with rock formations like I have never seen. 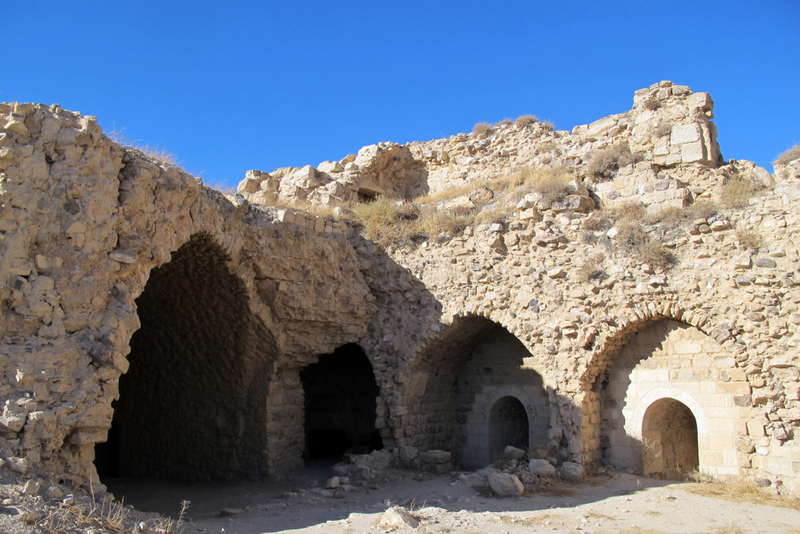 On our way down to Petra, we stopped off at crusader castle Al Karak. Although driving the King’s Highway was pretty intuitive, once we hit the city we got completely lost! 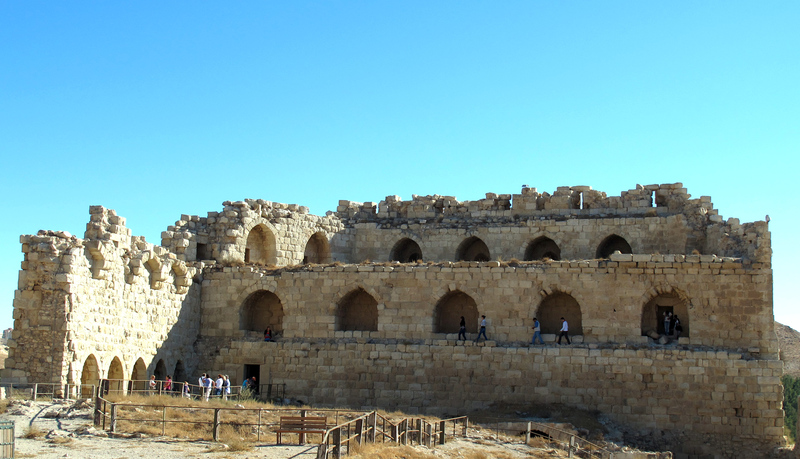 But a kind Jordanian local picked us up and dropped us right at the castle entrance – not only does Jordan have an incredible heritage but its modern-day culture also seems to be rich with kindness. 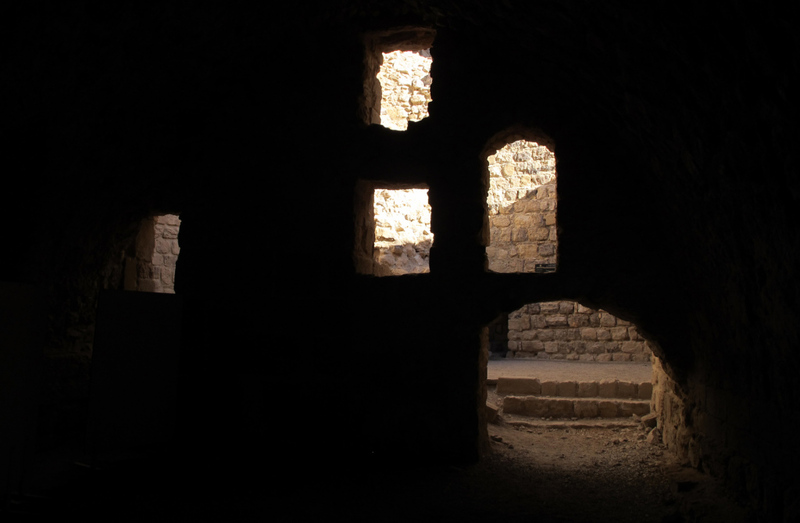 And lots of nooks and crannies to explore. On our way back from Petra, we took the shorter Desert Highway so as to spend less time in the car but still punctuated the journey with a couple of historic sights. 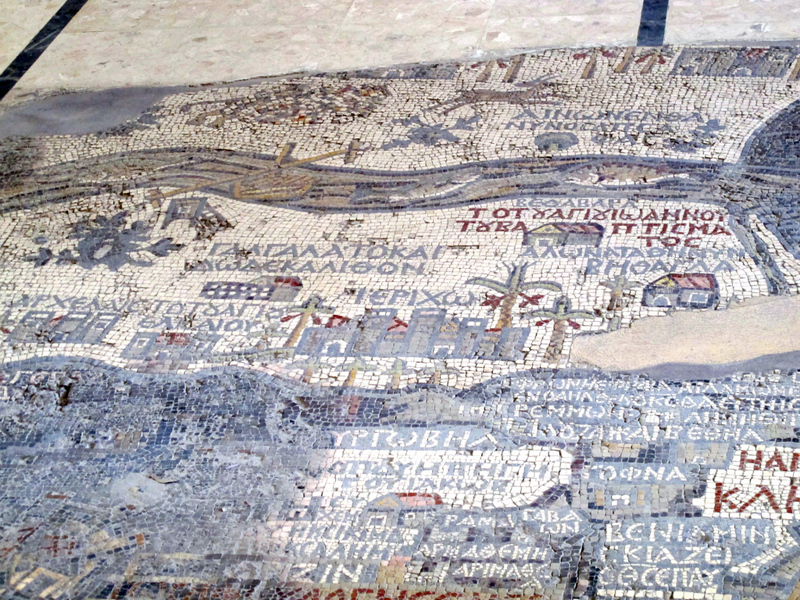 Madaba, a city in central Jordan, has a number of churches containing famed Byzantine mosaics. St George’s Basilica has an amazing mosaic – supposedly the oldest surviving map of the Holy Land (dating from the 6th century). 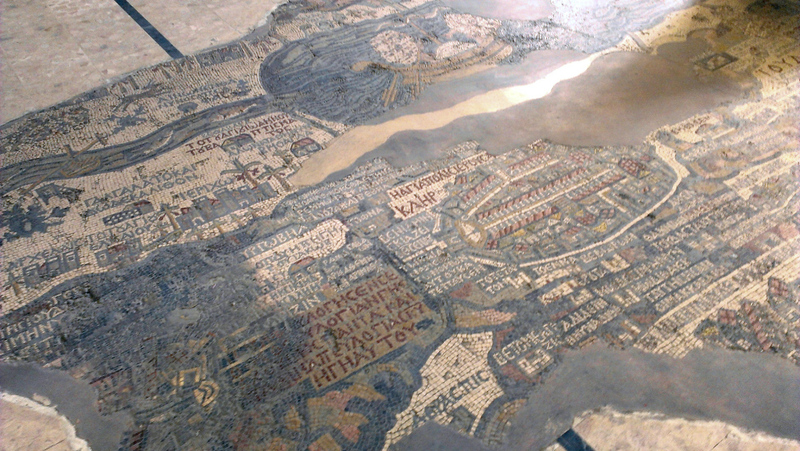 The mosaic, which was discovered by chance in 1896, is not complete but is nonetheless impressive and it was fun to see a number of the sights we have been to (such as the Dead Sea and Al Karak) set out in the mosaic. 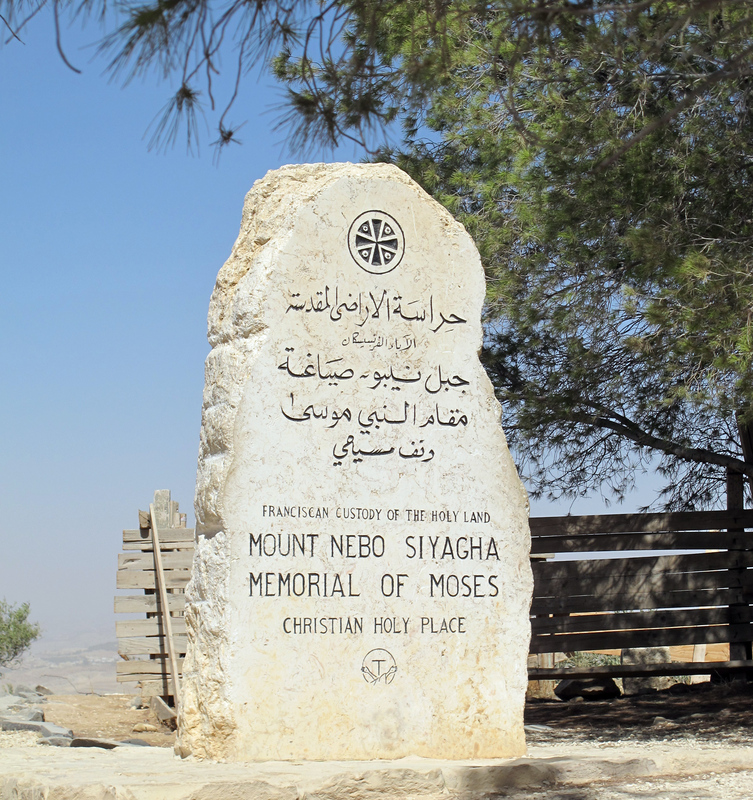 And as our final stop we visited Mount Nebo – the site where, according to the Bible, Moses was shown the Promised Land which we could never enter. This is a beautiful spot where, on a clear day, you can see all the way to Palestine; sadly the haze had set in by the time we got there but it was a wonderful view nonetheless! There is also a church on the site which apparently has some very impressive mosaics but these are currently being restored so it may be worth waiting for it to re-open in 2014 to make the most of this one. 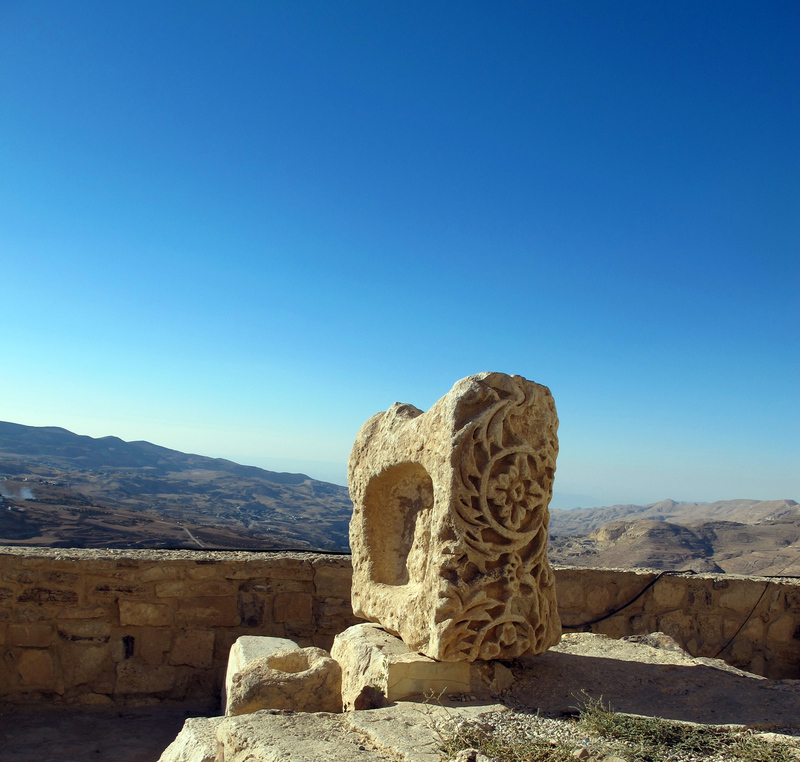 This entry was posted in explore and tagged culture, history, Jordan, Kerak, Madaba, Mount Nebo, road trip, view. Bookmark the permalink.